Front Row (L to R): Sally Burns, Mary Kraul, Jodie Prina, Pauline Ensley & Deb Worden. Second Row (L to R): Coach Mary Hungate, Jayne Kralovich, Deb Patty, Cindy Perry & Julie Kralovich. 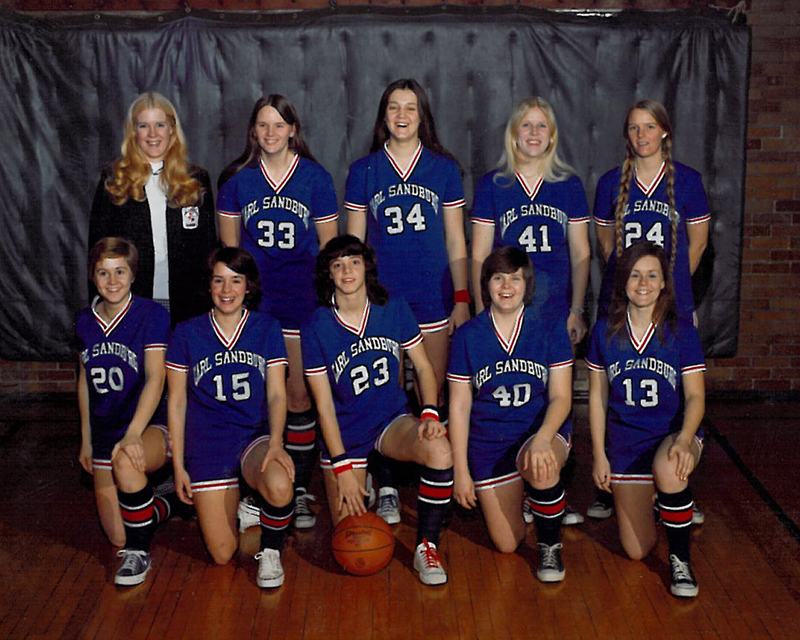 "This was the first year for girl´s intercollegiate basketball here at Sandburg and the enthusiasm shown was fantastic," wrote Sandburg women´s basketball head coach Mary Hungate in the College yearbook after the season. "The girls were great to work with. We had a lot of good times we´ll remember for a long time. Coaching them has been an experience I will never forget."